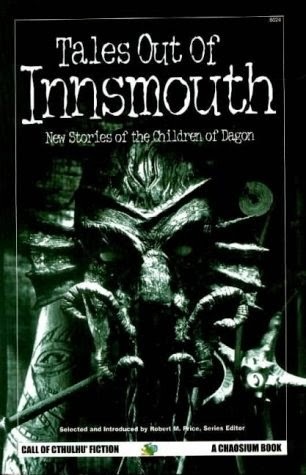 Way back in October 1993, Chaosium, publisher of the Call of Cthulhu RPG, started publishing what was to become a long line of short story anthologies centered around various elements of Lovecraft's fiction. 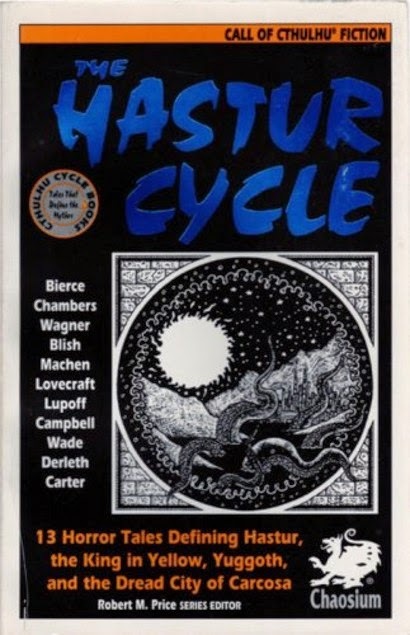 From the very first book, The Hastur Cycle, edited by Robert M. Price, it was clear this was going to be an intriguing series. Not only was it going to include Lovercraft's own stories and those of authors inspired by him, it was also going to include other writers who had served as influences on him. This meant Bierce, Dunsanay, Machen and Chambers were going to get a chance to be read alongside the Lovercraft stories they helped inspire. I've managed to get my hands on the most of the series. I bought most of them in the NYC Compleat Strategist as they were published. They looked more like game supplements than fiction anthologies and were stacked on the shelf right next to the CoC rules and supplements. Later ones I picked up via Amazon. In certain cases I didn't pick up second editions (The Book of Eibon) when they became available, while in others I did (The Hastur Cycle, and Encyclopedia Cthulhiana). I only bought the new editions when they had something extra to offer. 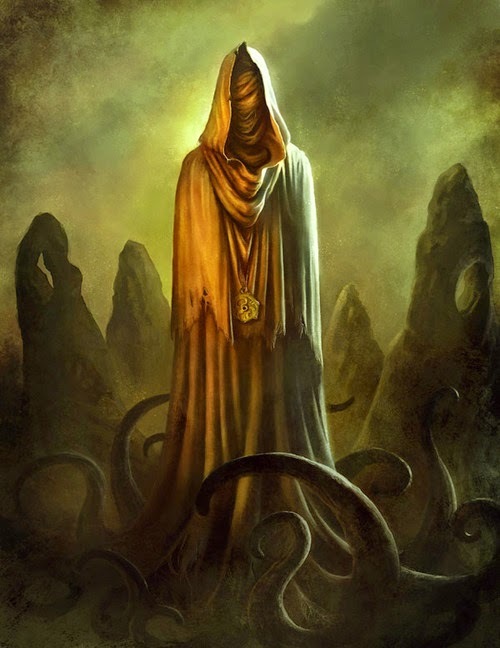 The Hastur Cycle wasn't able to get the rights to Joseph Payne Brennan's "The Feaster from Afar" the first time around. Maybe the book collecting gods think that's sacrilegious but I've always been more interested in the contents of a book than the cover. 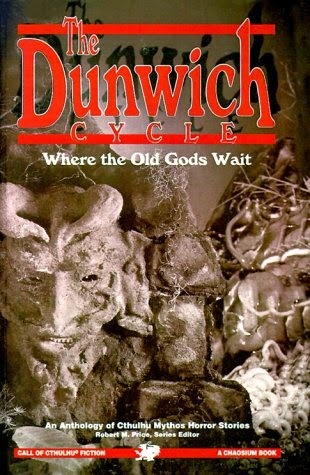 The Tindalos Cycle, published not by Chaosium but by Hippocampus Press, I'm only finally getting while typing this. 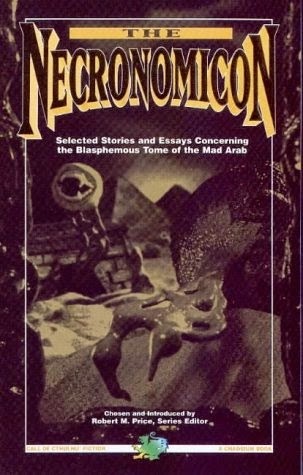 I also never bought The Klarkash-Ton Cycle: Clark Ashton Smith's Cthulhu Mythos Fiction as I already owned the magnificent Night Shade Books omnibuses and I can't justify the replication. Again, those book collecting gods must be looking to toss a lightning bolt or two my way. It's an amazing series. Price is one of the leading authorities on HPL's fiction and weird fiction in general. He's not the sole editor of the series but he seems to have been the driving force behind it. He brings a fan's love of the stories and some often pretty serious literary theorizing to his essays in each collection that lacks (mostly) the often arrogant style of S. T. Joshi, the other great HPL authority. I sometimes think Joshi dislikes pulp fiction and want to elevate HPL above his origins while Price seems to revel in the good, pulpiness of many of the original Mythos stories. That said, the volumes of Robert W. Chambers and Arthur Machen's fiction are edited by Joshi. 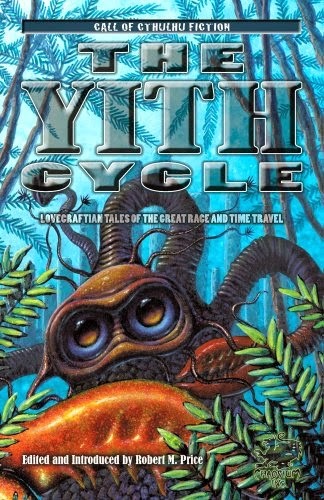 The stories, mostly reprints, are a great amount to one the greatest surveys of Mythos fiction. Stories by Chambers are contained in the same volume as ones by Karl Edward Wagner, Richard Lupoff, Lin Carter, and Lovecraft himself. Several of the volumes are reprints of earlier significant volumes of Mythos stories. 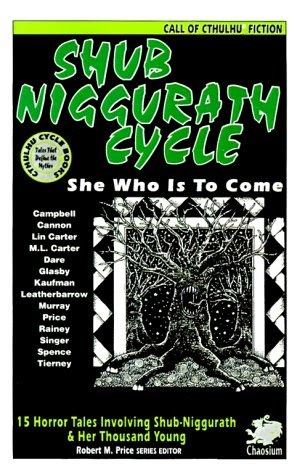 If you want to see how this sub-genre of weird fiction was born and evolved over the decades this is one of the greatest ways to do it. Those are the books I have and the ones I consider the real series started all those years ago with The Hastur Cycle. 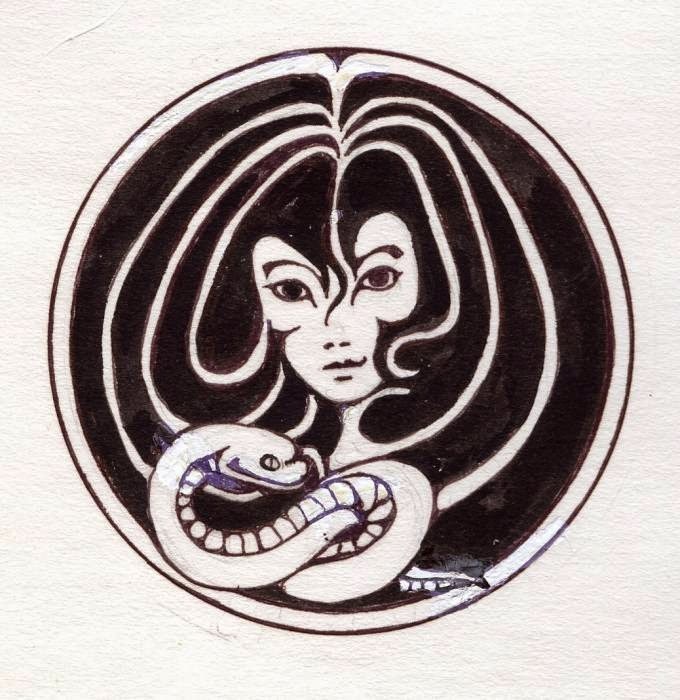 Chaosium published a few novels under the series banner but I've dismissed them. They don't serve as part of the massive survey of Mythos short fiction. All are otiginal, contemporary works and haven't had any time to play in the development of this massive body of communal work that goes back over eighty years. 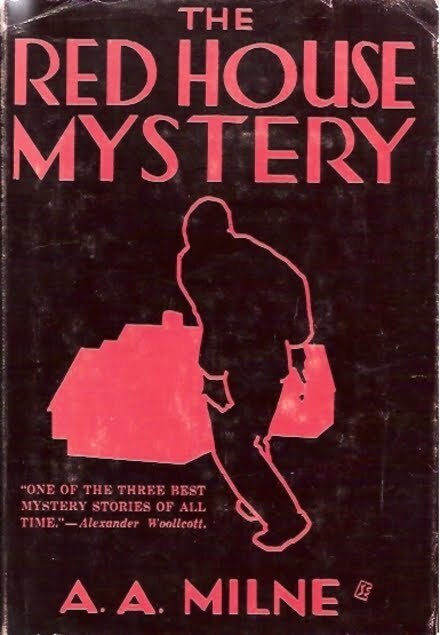 There are also a few anthologies that have been produced without the guiding hands of Robert Price. They also don't look as good as the ones he oversaw. For both those reasons I haven't bothered buying them. Keith West's review of Lin Carter's The Spawn of Cthulhu got me thinking about "The Whisperer in the Darkness", one of my favorite HPL stories. That in turn got me thinking about this series. It's on the top shelf so I don't pull any of its volumes down that often. Considering the time and effort I spent acquiring the books that seemed a little sad. So I'm going to start rereading them and reviewing them. I'd love to read one a week but I know that's not going to happen. I'm too slack and I don't want to fall behind in my other reviewing plans and obligations. I'm also not sure if I'll review all of them. 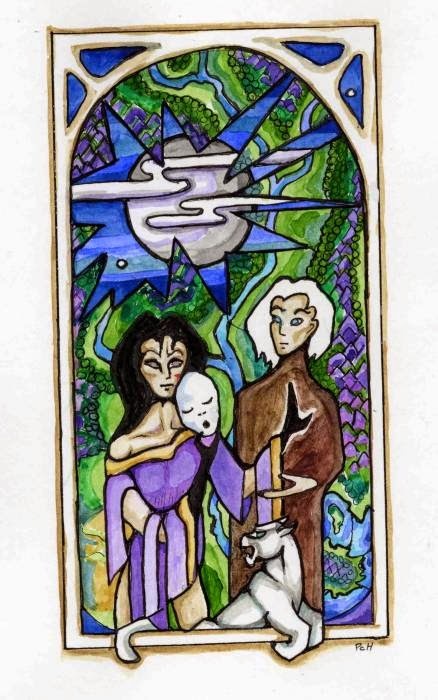 Some, like The Book of Eibon and The Book of Dzyan are really collections of "esoteric wisdom", explicitly fictional in the first and purportedly true but obviously nonsense in the second. I'm probably not going to do more than skim them. I've already read and reviewed Richard Tierney's The Scroll of Thoth several years ago (didn't like it), so I'm not going to do it again. However this works out, it's going to be a fun project and I hope folks find it interesting. It pays to check out those boxes of books you've got stashed out of sight and mind. I've got a large batch of books set aside for eventual disposal. Going through them for an upcoming yard sale I discovered two anthologies I'd bought nearly twenty years ago and never read a single story in. McCullough. It's a historical survey of urban crime stories ranging from Edgar Allan Poe through Sue Grafton. This looks like it's worth holding on to for a little longer. The second book is a definite keeper. 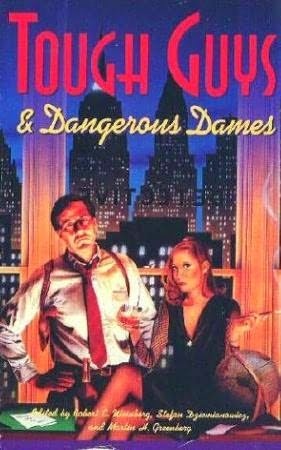 It's Tough Guys & Dangerous Dames, edited by Robert E. Weinberg, Stefan Dziemianowicz, and Martin H. Greenberg. The table of contents is basically a list of the best hardboiled American writers from the last century. 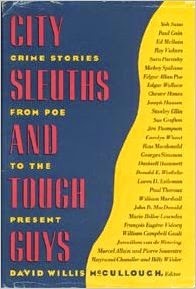 There's Chandler, Raoul Whitfield, Norbert Davis, Hugh B. Cave, Paul Cain, John D. MacDonald, and a host others. Discovering this one made me very happy. 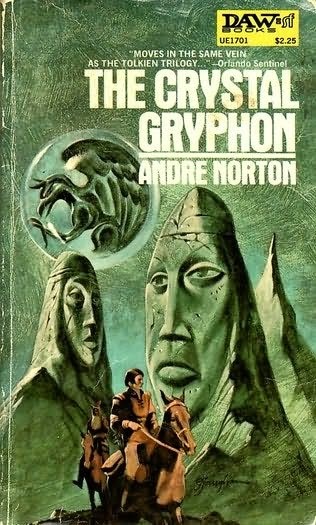 I've written a fair amount about Andre Norton's Witch World series at this point. 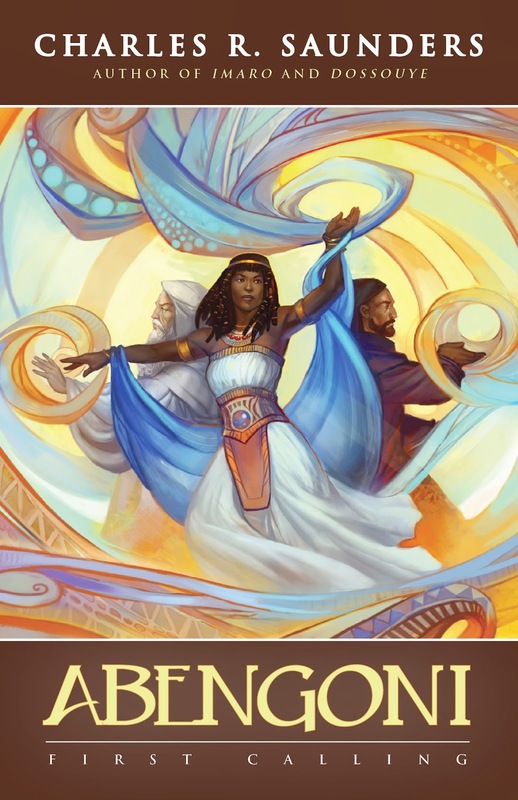 Just this morning my review of Sorceress of the Witch World posted at Black Gate. In the past between this site and Black Gate I've reviewed Spell of the Witch World, Three Against the Witch World, Warlock of the Witch World, and Year of the Unicorn. Sorceress concludes the trilogy started in Three and continued in Warlock. I was pretty keyed up to read it. While there's some great stuff in it, including a wizard being used as a power source for a city of cyborgs, it's a disappointment. All the novels in the series I've read suffer from a stilted style I assume was meant to sound more olde tyme. That's something that doesn't alway work and it totally fails in Sorceress. It makes the heroine sound dull and affectless when she definitely shouldn't. She's smart as well as clever. Even stripped of her overt magical powers as a consequence of things that happened in Warlock she's still a dangerous foe. But she sounds like she was hit in the head one time too many. Then there's all the action she's in the middle of. The way she tells it she might as well be describing paint drying. It's just dull, dull, dull. Still, this is a pretty great series overall. 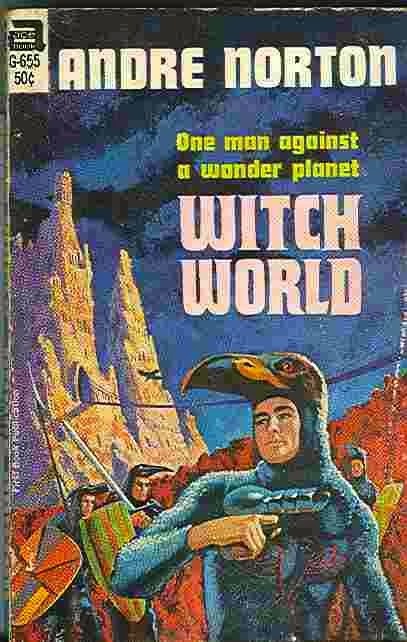 The very first book, Witch World, starts with some terrific world-building and mind-blowing pulp plotting and great action scenes. From there it only gets niftier. Actually, the books seem to get less pulpy as they go on but I don't hold that agains them. 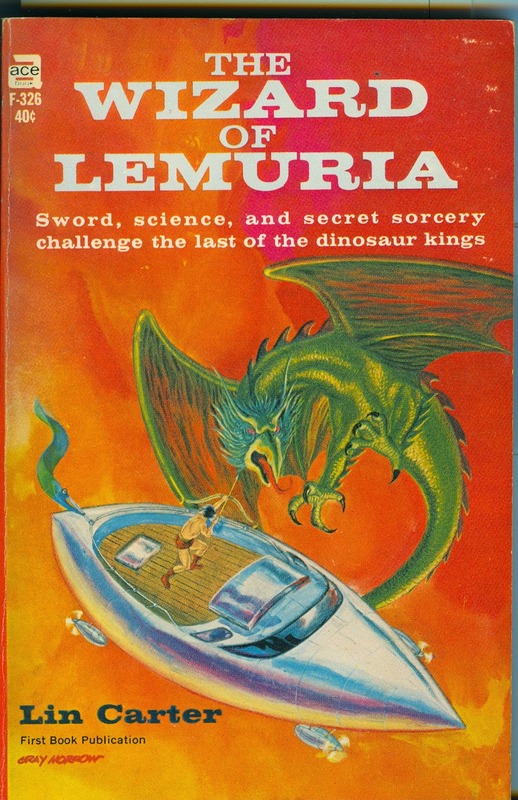 The first two, Witch World and Web of the Witch World are pure science fantasy, complete with ray guns, flying cars, and super computers along with swords and psychic talents. The later books are more serious and darker. 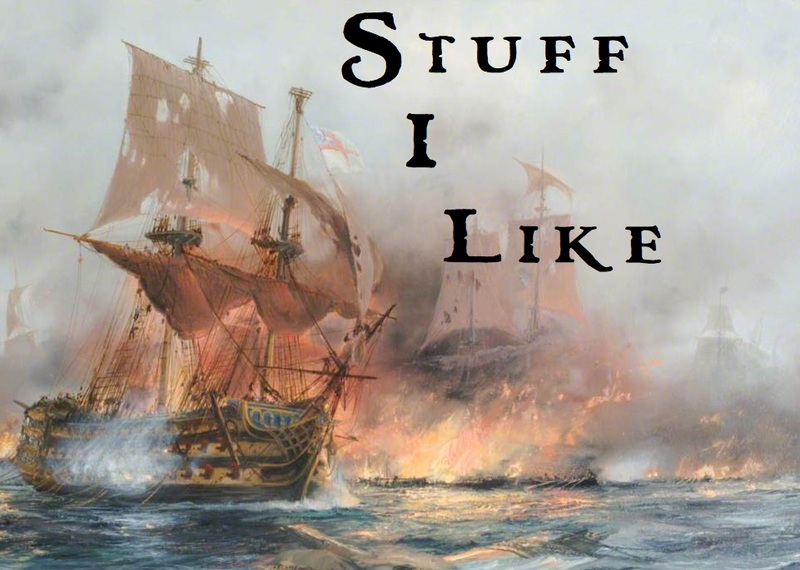 The the stories set in High Hallack focus on the effects of a long, brutal war. 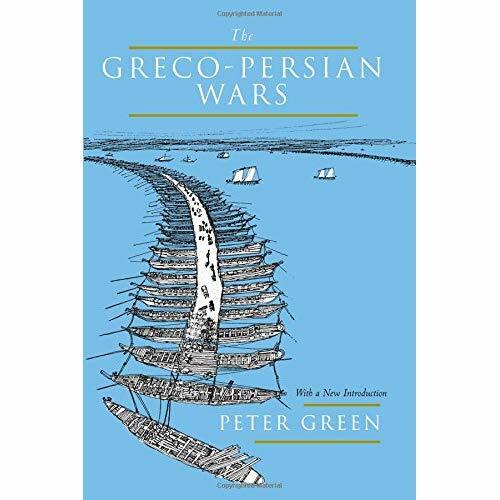 War in these stories is less of an excuse for the heroes to be heroic than a terrible thing that must be done to survive. The cost in human lives and human potential is tremendous and is rarely recovered. For what were initially marketed as YA books, there's a lot of heavy stuff going on. There's genocide, the aftermath of war, opressive gender roles, and lots of violence. There's a constant atmosphere of loss that permeates much of what I've read so far. There are constant reminders that times were better in the past and the future may not get better. Even when the good guys win it's at terrible costs. Norton hit on something and then ran with it pretty much for the rest of her life. Unless the rest of the books become amzingly bad I easily see myself finishing this series in the next year or so. The next book for me is one I'm really looking forward to, The Crystal Gryphon. It features characters from "Dragon Scale Silver" and "The Sword of Unbelief", two excellent stories. I'm not sure when I'll get to that. I've written before that as much as I've like the novels, the short stories are what I've liked best. Probably not until next year. So my carefully planned reading schedule has gotten knocked out of order already. Next week I'll have my review of Charles R. Saunder's first work of epic fantasy: Abengoni: First Calling. From what I've read, this is a book he's wanted to write for a long time. Thanks to the changed nature of publishing, technology, and the mighty Miltonn Davis, it's finally happening. With Milton behind him I thhink it's a safe bet that the rest of the series will actually get published unlike when DAW and Night Shade were involved. Then I've got to do the short story reivews. HFQ came out the other day. Without even looking at I feel safe in saying I'm bound to find at least one story I like in it. Plus Swords and Sorcery Magazine's usual two stories and whatever else I can finnd in BCS and the last Fantasy Scroll. I guess then I'll get back to P. C. Hodgell's Seeker's Mask and Lin Carter's first three Thongor books. And really, if Robert Price is overseeing Carter's bookks why the heck hasn't he let someone make cheap e-books of these things? Very annoying. Musically, it's been a very Southern time here in Vredenburgh Manor. In anticipation of the Gov't Mule show we're going to in December, I've been listening to a lot of them. Also, lots of Allman Brothers and Derek Trucks Band. Right now I've got a video of Skynrd playing Freebird in England back in 1976. Watching Gaines and Collins play off each other is a blast.